Erwin Wurm (born in 1954 in Bruck an der Mur, Austria) is one of the most successful contemporary Austrian artists. 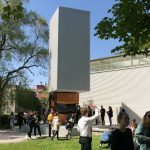 The retrospective show at Deichtorhallen Hamburg presents for the first time, and on such a large scale, Erwin Wurm’s comprehensive oeuvre, which includes all forms of media and systems of reference. Deichtorhallen Director Dr. Robert Fleck, who knows Erwin Wurm since a very long time provides us with an introduction to the exhibition. He talks about the initial idea for the show, the exhibition architecture, Erwin Wurm’s concept of sculpture, and the reception with the visitors of the exhibition. 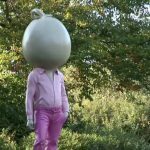 Erwin Wurm: The ridiculous live of a serious man. The serious live of a ridiculous man. (April 27 – September 2, 2007). Deichtorhallen Hamburg, Germany, July 25, 2007. Part 1/2. “In a permanent exchange of questions and answers about what sculpture is and how it is constituted, Erwin Wurm has worked for more than twenty five years on a many layered body of work that can be understood as a long term study of sculpture as a concept. For Wurm, one of the most successful contemporary artists, anything can become sculpture: actions, written or drawn instructions, or even a thought. 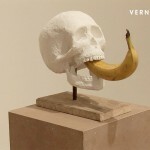 His art often treats elementary as well as banal life needs and actions, as well as their perversion, as can be expressed in physical deformations. The artist explores issues such as the thinness craze and obesity, fashion, advertising, the cult of consumerism, whose central fetishes include the private home as well the car.” (PR Deichtorhallen).